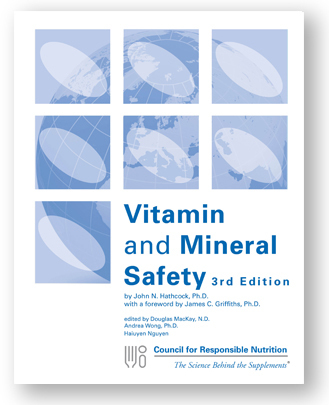 NEW TRANSLATIONS JULY 2018—click here for the CRN-I translation center with links articles relevant to international regulatory science for nutrients and food (dietary) supplements, proceedings from past CRN-I symposiums, and more—available in English, with translations in languages including: Arabic, Chinese, French, Japanese, Korean, Portuguese, Russian and Spanish. Dr. Griffiths is responsible for CRN’s science-based international policy and regulatory work, and is the CRN staff liaison for CRN-International (CRN-I). He has more than 30 years of experience in the area of food safety and regulatory affairs. Prior to joining CRN, he spent five years with the United States Pharmacopoeia (USP) where he managed food and dietary supplement strategic initiatives, including those related to global food and dietary supplement alliances. He began his career as a regulatory review toxicologist at the U.S. Food and Drug Administration’s Center for Food Safety and Applied Nutrition. His background also includes various scientific and regulatory positions at Burdock and Associates, the Flavor & Extract Manufacturers’ Association, International Specialty Products, Avon Products, and others. He has published extensively in peer-reviewed publications and has an adjunct faculty appointment at the JSS University System in Mysore, Karnataka, India. Dr. Griffiths holds a B.A. in biology from Columbia Union College in Maryland, earned his Ph.D. in Toxicology from Rutgers University & Robert Wood Johnson Medical School in New Jersey, and completed post-doctoral training at the Heinrich Heine University in Düsseldorf, Germany. Dr. Wong is an integral part of CRN’s science and regulatory affairs department, responding to emerging scientific and regulatory issues as well as advocating for science-based nutrition. Her regulatory expertise includes a working knowledge of international health claims, preparation of technical submissions to international regulatory agencies, and designing regulatory strategies for marketing products in global jurisdictions. Prior to joining CRN, she worked as a senior scientific and regulatory consultant for the highly respected consulting firm Intertek Cantox, formerly Cantox Health and Sciences International, in Ontario, Canada. Dr. Wong has published in scientific journals, including Regulatory Toxicology and Pharmacology. Dr. Wong earned her B.S. in Life Sciences from Queen’s University in Kingston, Ontario, and her Ph.D. from the University of Toronto, Ontario. Ms. Atkinson serves as a resource for CRN’s member companies seeking advice on their quality control programs. As part of the Scientific & Regulatory Affairs department at CRN, she assists CRN members with understanding and complying with federal cGMP regulations and other regulatory requirements. She has more than 15 years of experience in quality control and management, having served in management positions for a number of dietary supplement companies, including Renew Life Formulas, New Chapter, and SwissCaps. Ms. Atkinson has a B.S. in Microbiology with a minor in Biotechnology from the University of Guelph in Ontario, Canada. Dr. Dickinson is a consultant on dietary supplement regulation and food and nutrition policy, and is also an adjunct professor in the Department of Food Science and Nutrition at the University of Minnesota. She worked in Washington, D.C., for over 30 years for the Council for Responsible Nutrition (CRN), the leading trade association of the dietary supplement industry. During that time, she was responsible for regulatory and scientific affairs for CRN and served as the association’s President prior to her retirement and move to Minnesota in 2005. 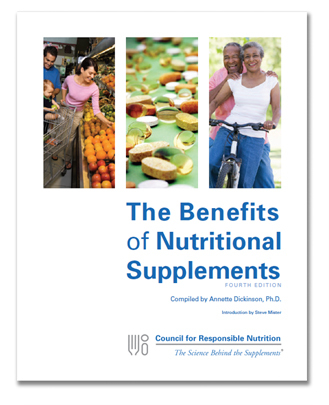 Dr. Dickinson is the author of CRN’s publication The Benefits of Nutritional Supplements, a comprehensive review of the evidence demonstrating the health benefits of core nutritional supplements including multivitamins. She was appointed in 2002 to serve a 3-year term on the U.S. Food and Drug Administration’s Food Advisory Committee. She was appointed by President Clinton to the Commission on Dietary Supplement Labels (1995-1997) and has been a frequent witness before the U.S. Congress and at other public forums. Her expertise includes the legal and technical aspects of marketing dietary supplements, including provisions relating to labeling, advertising, and good manufacturing practices. She earned her Ph.D. in nutritional sciences and her M.S. in food sciences from the University of Maryland.